The What: NewTek has released LiveGraphics as part of the Premium Access monthly subscription service. 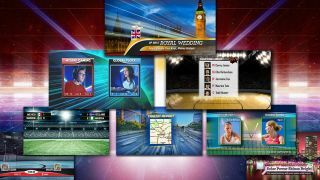 LiveGraphics allows users to go directly to air with 10 channels of real-time animated graphics authored in Adobe Photoshop CC and Adobe After Effects CC for live output from TriCaster TC1 and NewTek IP Series. In addition to LiveGraphics, Premium Access gives subscribers, five additional highly innovative applications including LivePanel, NDI KVM, Advanced Audio I/O, Virtual PTZ, and NewTek’s entire Virtual Set Library. Premium Access is the gateway to new advanced software features; subscribers will receive automatic updates as new capabilities are implemented. The What Else: First demonstrated at NAB 2018, LiveGraphics innovative approach to graphics creation allows users to replace text, images, and create links to live data, and then play those graphics back in real time. The result of extensive development, LiveGraphics does not require a proprietary hardware graphics engine and delivers on the promise of Adobe Creative Cloud in real-time. The Bottom Line: Premium Access requires the latest version of TriCaster TC1 and NewTek IP Series software now available to all users. This free software upgrade includes more than 20 new features. NewTek Premium Access is available now for the limited time special introductory subscription price of $99USD per month, or $1,149USD per year. International pricing will vary.